The double economy is the ideal choice for sharing your stay with a special person, taking advantage of the privacy given by an independent building overlooking the monumental “Porta Reale”, without giving up the advantages and services provided by Hotel Flora. Our guests will find in the choice of the Dependance double economy, the perfect room to share with a partner, enjoying all the comforts and charm of a modern and independent building, located in the heart of the historical centre. 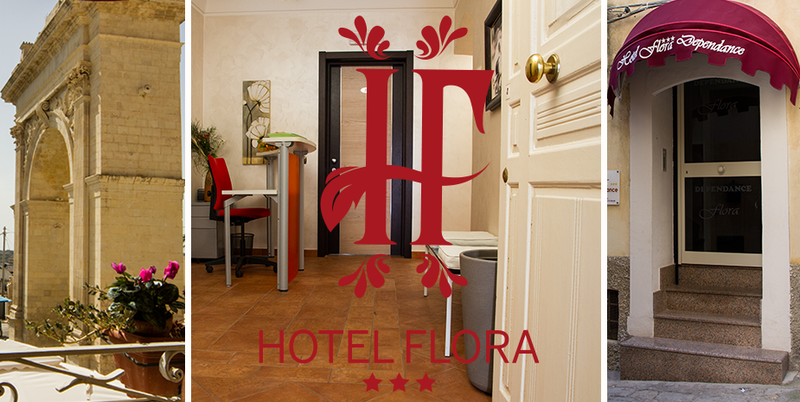 Hotel Flora will be the reference point for check-in, check-out, breakfast and for satisfying every requests. Me and my wife stayed in a room in the dependance building. Quality-Price ratio is excellent, rooms are clean and equipped with every comfort, the staff is willing and helpful. If you consider that it is located in the historical centre… you really can’t ask for more.